Can I Opt Out of Pairings, But Stay in the Pairings Channel? Sometimes you may want to be present, but not be paired. Here's how to remain in the channel but opt out of pairings. 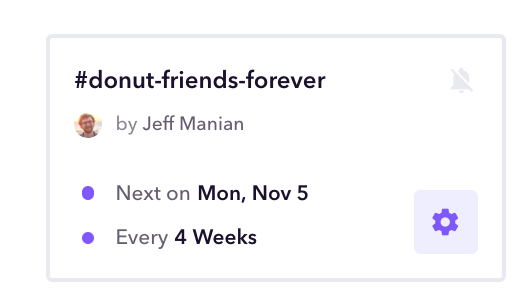 If you're a user that would like to monitor Donut pairing channel activity, but want to be excluded from the regular pairing schedule, just head to donut.com and log in using your Slack credentials. 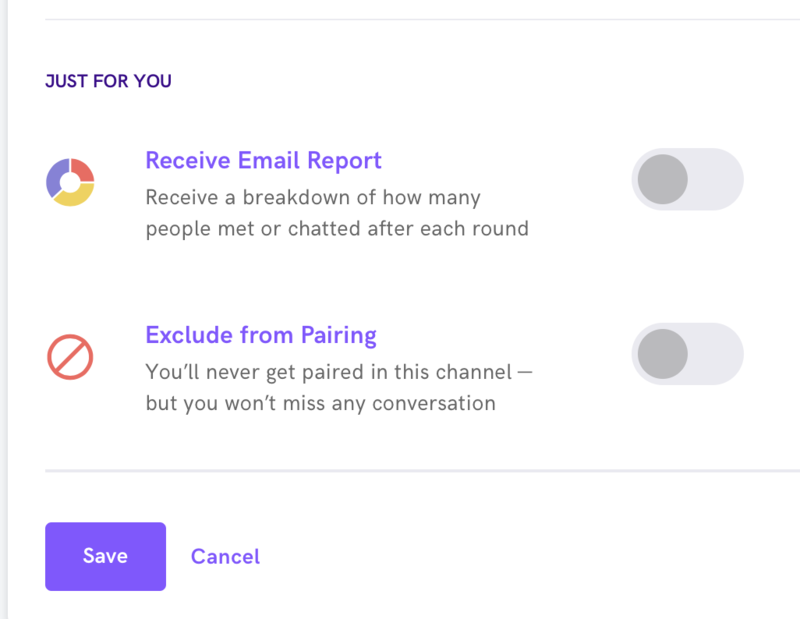 Once you're logged in, select the channel for which you're a member but would like to opt out of pairings, and hit the gear icon. Navigate to the "advanced" tab, and scroll to the bottom of that page. You'll see an option to exclude yourself from pairings. Toggle the switch to "on," and don't forget to save! You can opt back in anytime by logging back in, and toggling "exclude from pairing" back off.